Hiking boots are no longer reserved for weekends in the Lake District, as practical walking boots have become a firm fashion favourite this winter. 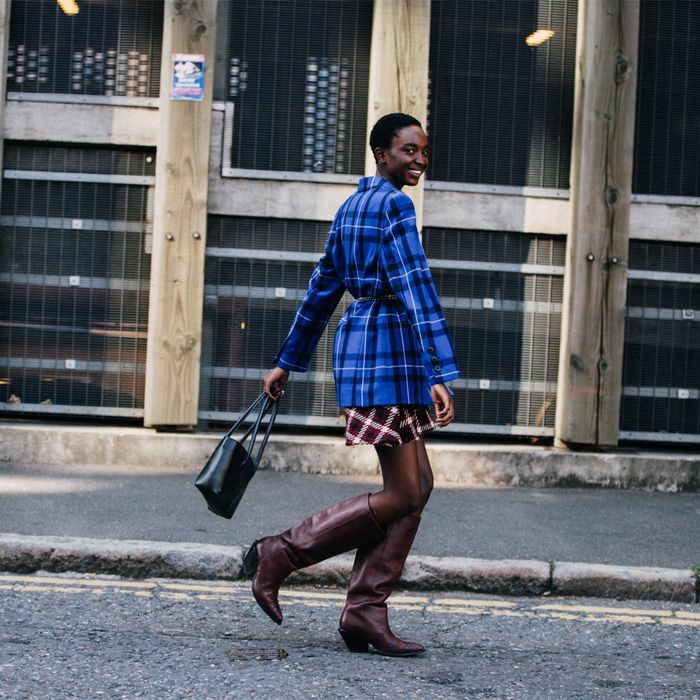 The boot style became Insta-bait accessories when Ganni released its £295 hiking boots and Scandinavian influencers wore them throughout 2018 with floral tea dresses. The success of the Ganni hikers led Net-a-Porter to buy over 100 hiking- and combat-style boots this season. There is a long list of designers who are equipping you to go mountain climbing, such as Proenza Schouler, Off-White, Gucci, Louis Vuitton and Jimmy Choo. When we say hiking boots, we really mean it—they have sturdy soles, bright laces, eyelet fastening and shearling linings. The hikers that are getting the most traction on Instagram right now are Grenson's Nanette boots as well as Ganni's boots. Most of these boots could get you through a Duke of Edinburgh Gold Award expedition (or through a regular Sunday roast and park walk). Keep scrolling to shop our edit of the best hiker boots. Next up, see our guide to all the key boot trends for 2019.